The Tapered Roller Bearings 30200 Series the rollers are increased in both size and number giving it an even higher load capacity. The versions available are indeed single-row and double-row, both in inch and metric size. The constructional shape of the Taper Roller Bearings 30200 Series makes them especially suitable for combined loads (radial and axial). They always have to be pack-mounted, with or without pre-load, because continuous contact of the relevant rolling elements has to be guaranteed. Precision Tapered Roller Bearings 30200 Series utilize conical rollers and raceways, arranged so that the rollers and raceways meet at a common apex. The rollers are guided by contact between the large end of the roller and a rib on the inner ring. This provides high capacity for radial and single thrust loads. Looking for ideal Tapered Roller Bearings 30200 Series Manufacturer & supplier ? We have a wide selection at great prices to help you get creative. 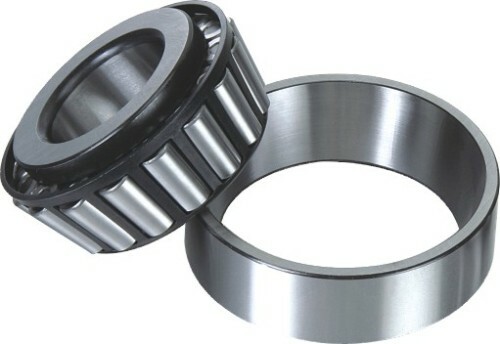 All the Taper Roller Bearings 30200 Series are quality guaranteed. We are China Origin Factory of Precision Tapered Roller Bearings 30200 Series. If you have any question, please feel free to contact us.